In conjunction with Tullow School Completion Programme, our Fruit Scheme is continuing this term. The cost will be €5.00 per child from 18th November to 13th December, 2013. If you would like your child / children to partake in the scheme please fill in the form attached below and return with €5.00 per child by Thursday 14th November, 2013. Today, we are having a Green Schools Assembly. 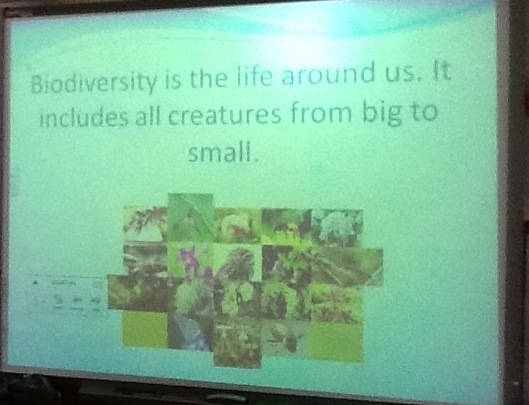 We are learning about biodiversity. Eleanor O’Toole has kindly volunteered to do baking lessons with the children in our school. We were delighted to welcome her today and we had lots of fun baking. We are delighted to launch our new website. Thank you very much to Andrea McAssey and James McDermott for all of their hard work on our new website design and layout. Your work is greatly appreciated.